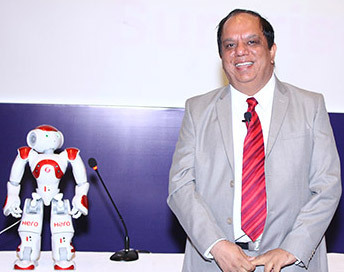 Vijay Sethi, CIO and Head HR and CSR, Hero MotoCorp with the first Humanoid robot that has been inducted into the team. Q. How do you see technology disrupting organizations and the advent of digital age? Vijay: Today, all industries are getting disrupted by technology in a big way. Even at the consumer end, there’s a huge amount of technology intervention happening. Today everyone is getting kind of impacted by the digital age – be it kids, consumers, public in general, or the industry. That’s a major change. Till few years back, IT was confined mainly to offices and not so much at homes or in personal lives. Today however, everything is getting disrupted by technologies like AR/VR, IoT, 3D printing. As we move forward, some of these, what I call as BAR (Blockchain, AI, Robotics) will further change the entire thing. As I see, if you go back to maybe 5-7 years, the IT industry was hit by a major SCAM (what I mean is advent of Social, Cloud, Analytics, Mobile in a big way in organizations). It transformed the way people consumed and provided IT interventions for organizations. 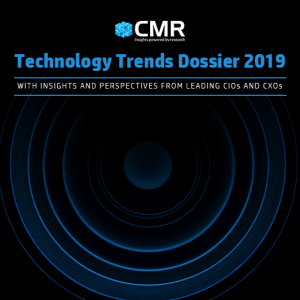 Instead of building huge data centers, companies moved to cloud; instead of desktops/laptops being the key visualization or data capturing devices, it became mobiles; analytics moved beyond normal MIS, and dashboard analytics became a big thing. Lastly, social media was initially more at a personal level, but suddenly it invaded into the professional space, beyond LinkedIn, and other sites like Twitter, etc. became increasingly relevant for organizations to study consumer behavior. 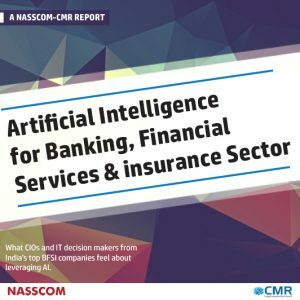 SCAM or SMAC started impacting and influencing business strategies, and one can see usage of these technologies in companies getting matured over the last 5 years. At the same time, another major change that happened was that even consumers became very IT savvy. From a consumer’s perspective this meant that suddenly organizations had to change their behavior and way of thinking because consumers wanted everything online. They started expecting faster reaction time because social media and mobile gained huge traction. As we moved forward, IoT came along and suddenly everything started becoming ‘smart’ and a possible source of data. An old machine of shop-floor or a refrigerator at your home that you never imagined suddenly became a smart device. This started the trend of everything becoming smart. Suddenly with IOT, all that data from social media which we used for sentiment analysis, etc. just a couple of years back and always thought that was huge (or Big) now looked like peanuts as the data being generated by sensors is really big. That data now has to be ingested and analyzed and that has changed how analytics works. Then came AI, predictive analytics, ML, deep learning where data itself started training the models. Today robotics and chatbots have become a part of life and an end consumer who doesn’t even have any IT background, can go to a website and use a chatbot. Lots of people who do not have any IT background today fully understand what IoT is, or a smart car, or smart washing machine, etc. is. So, in a nutshell, IT has transformed the way the entire world works. That’s the biggest disruption I see and that is the advent of digital age where everything would be driven by digital technologies. Q. What are the challenges that businesses face because of this? Vijay: Challenges start from the basics. Are businesses even ready to absorb these changes? Are they ready to match the speed of the changing infrastructure and technologies, or are they still in that old environment where they feel happy developing a software that would take months and years? By the time the software is released, the entire paradigm changes. Businesses have to change their mindset to use data and data insights in a big way because customers want everything to be data driven. But are they really doing that? More still, has the business IT architecture really kept pace with this, or are we still in our old mindset? Are our organizational policies in line with the new setup? The reality is that in many organizations, the organizational structure still remains the same as what it used to be 10 years ago, whereas the entire world has moved on. If you want to use the old policies, processes, mindsets, structure, architecture in the new way, it will never work. 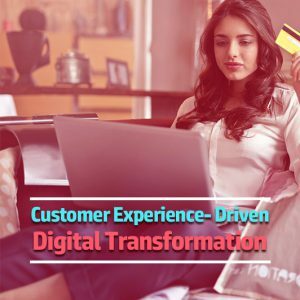 Have the organizations processes kept pace with the changing needs of customers and other stakeholders or is it just old processes – may be automated. Is it the case of bad process getting automated leading to a worse process? These are some of the issues and challenges. Q. How are you dealing with all these changes? What types of innovations are you doing at Hero MotoCorp? Vijay: The biggest thing over here is first the realization that you need to change. From our perspective, at Hero MotoCorp, we’ve been early adopters of technologies and of all these changes. We have a leadership that’s very pro technology and understands its benefits. So the change management part is always less. That has been helping, and because of it, we’ve been trend setters in a lot of things. For instance, about 10 -12 years ago, when most companies would not have email on their mobile phones, we had Lotus Notes on mobile. Similarly, we became the first company in India to have a robot in our team. This is not robotics in the manufacturing plant, but a physical humanoid robot in our team. We have been investing in technology in a big way over last many many years and there is a large focus on innovation and team’s competency enhancement. For instance, we started 3D printing many years ago, when most people wouldn’t have even imagined. We started with a concept of special projects a few years back where teams apart from their regular job worked on or explored some new areas. Not all the projects succeeded but they gave the team a lot of learnings. Of course, some of those projects are our marquee projects today. To explore new technologies, we’ve also setup our centers of expertise for blockchain, AI, ML, where a lot of projects, PoCs, etc. happen. The fact is that when you innovate or explore new areas, some of the projects see the light of the day, may be a large number fail, but I’m ok with that, as it helps us change the mindset of the team, increase their competence level, as well as enhance the competence level of our end users and their expectations. Then there’s a lot of collaboration we do with our end users, which ensures that any IT/tech initiatives are actually aligned with the business. It doesn’t come to anyone as a surprise, and we never actually say that the entire thing is owned by IT. It’s always a joint ownership, which helps us a lot. We started this many years ago so today, when these new tech trends are hitting us, we are prepared. We also focus heavily on enhancing the competence of our team, users, etc. We also periodically review our policies every six months for changes so that we can be as contemporary as possible. We’re doing many things from an innovation perspective. There are various assignments that we’ve done that are very different from anyone from industry who would have thought that way. At an industry personal level, I also lead a big Indian Automotive IT transformation initiative called AutoDX, where our objective is how to really use the power of tech in a big way. Q. Are these integrated as a part of IT or you’ve setup innovation labs? What I shared are all part of IT. From an innovation labs perspective there are other organizational initiatives that we are taking. We are working on various other business aspects. Coordinating Innovation efforts is another thing that I am responsible for in the company beyond my role of IT, HR and CSR. Q. Where do you see this moving? We’ve already seen Digital Transformation happening, with new technologies coming and disrupting every industry? 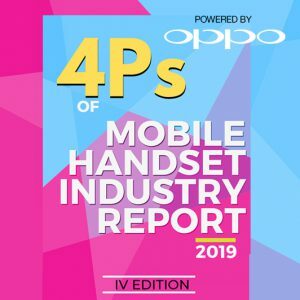 Vijay: The technology and the consumer expectations are today changing so fast that I feel that suddenly whatever we took for granted 3-5 years ago (be it in our way of working, way of approaching customers or others) could become invalid. For instance, Industry 4.0 would change the way manufacturing is done. AI, ML and Deep Learning would change the way we analyze customer behavior or even approach our customers. Block chain could change the way supply chain or financial transactions or other things are done, RPA could change the way automation is approached in companies and so on. With Smart machines, smart factories, smart offices, smart homes, smart products etc. becoming a way of life, the entire business and societal paradigm would change. Just an example, driverless cars or delivery by drones or hotels being run by robots is today a reality – and such disruptions are going to increase. The world is changing so fast today and most of it is because of digitization, so 3 years down the line, it will be a completely different world.